I'm back from vacation. The weather was perfect, but things were very hectic. Mother-in-law was transferred from a rest home to a hospital and we spent a lot of time visiting her. Her prognosis is not good. 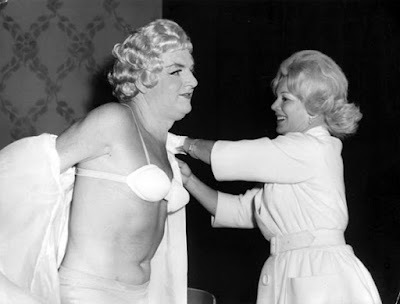 Actress Eva Gabor helps actor Kenneth Moore femulate. It's Kenneth More not Moore. 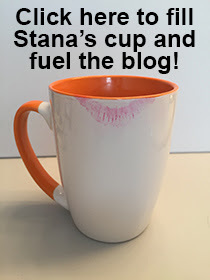 Stana, so glad you are back. Until you were gone I didn't realize how much I look forward to your blog.